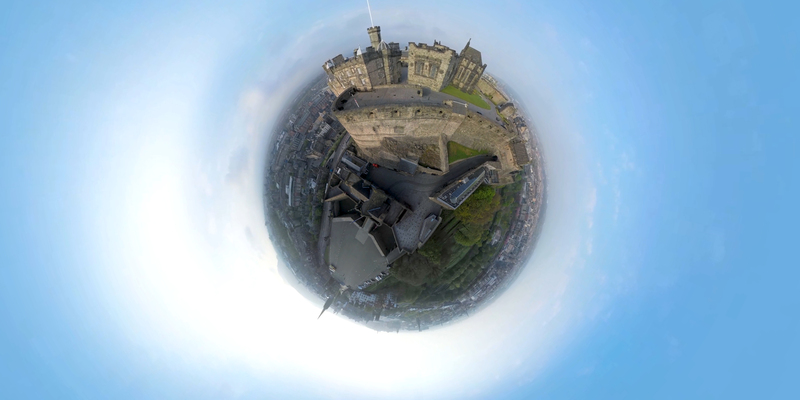 We can offer a full 360 Degree Video production service, including drone aerial 360, providing optimised media for online, tablet, phone or VR headsets. We specialise in Drone Aerial 360 and are one of a few experienced drone 360 video services providers. Our creative director as many years experience working with 360 video and understands the creative and technical challenges of filming 360 video. Is a novel and eye catching way to tell your story, promote your brand or destination. We have been creating 360 videos for over 6 years, which is a long time in this medium. Our 360 videos and collaborations have won VR awards. Turkey Red Media were the first drone operators in Scotland to develop a customised drone specifically for 360 video, this drone has been used on numerous 360 video production for Whisky Distilleries and Visit Scotland across Scotland.